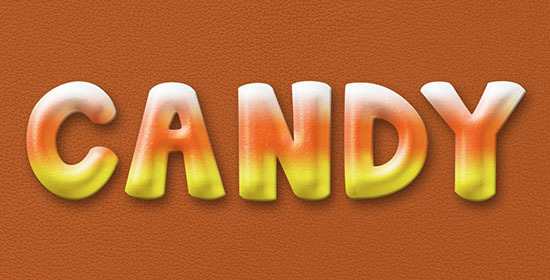 Sorensen Leather – Tango-orange-41587 by SorensenLeather. Green Dust & Scratches pattern by Atle Mo. 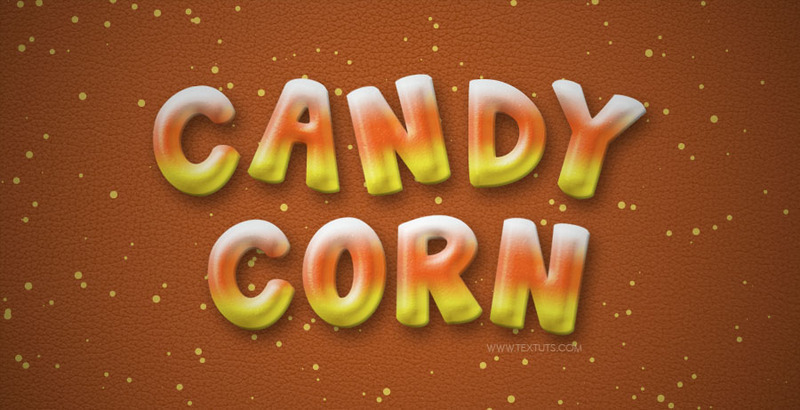 Stock – Confetti Blue png by Jassy2012. 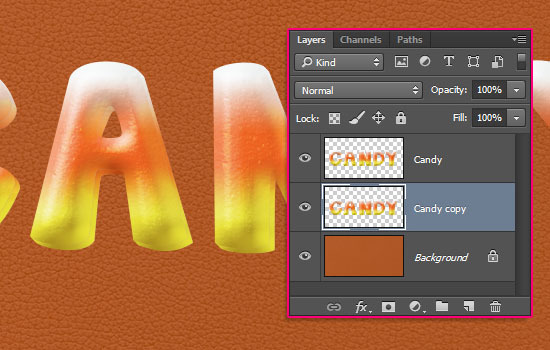 Create a new 900 x 460 px document, place the Sorensen Leather – Tango-orange-41587 texture on top of the Background layer, and resize it as you like. 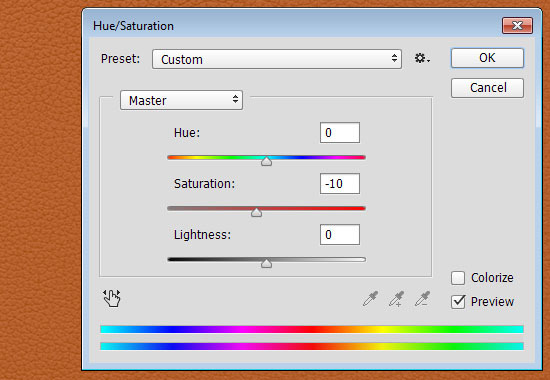 Then go to Image > Adjustments > Hue/Saturation, and change the Saturation value to -10. 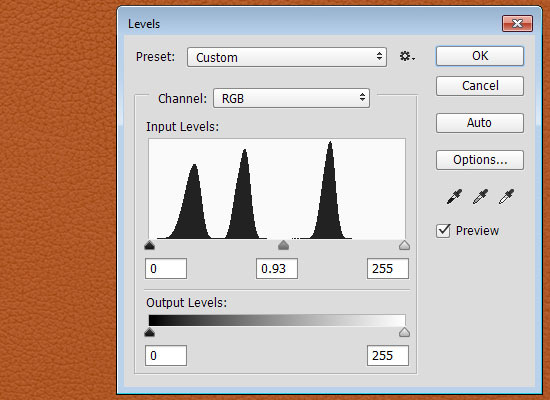 Go to Image > Adjustments > Levels, and change the Gamma value to 0.93. When done, go to Layer > Merge Down. 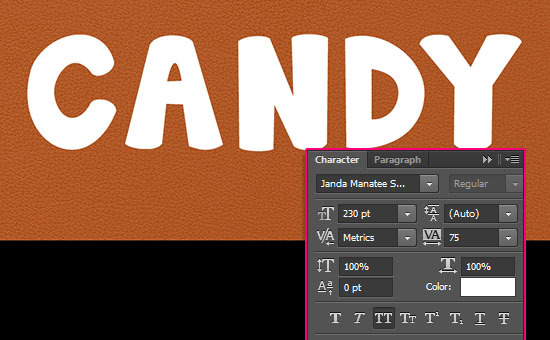 Create the text in All Caps using the font Janda Manatee, the Size 230 pt, and the Tracking value 75. 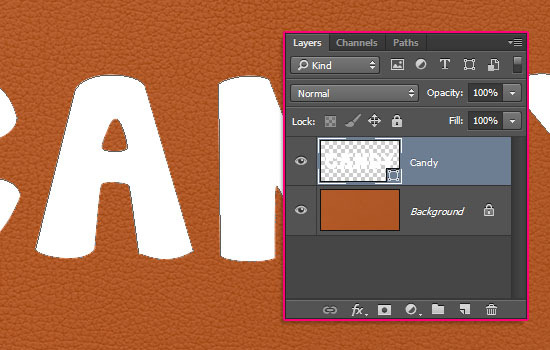 If you want to add more than one line of text then create each line in a separate layer. 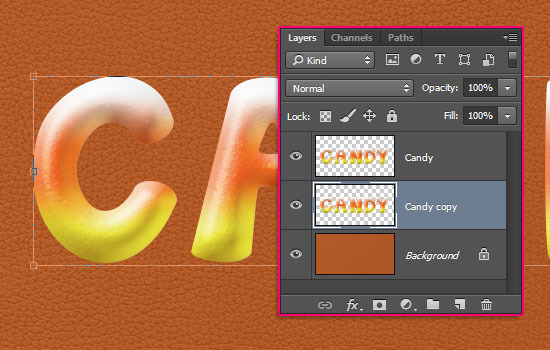 Right click the text layer and choose Convert to Shape. 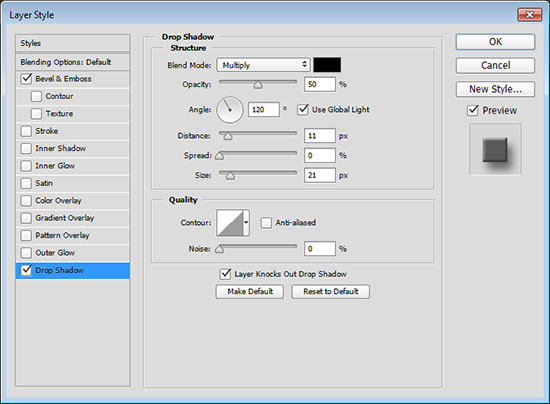 This step is optional, but it will make the final effect look better. 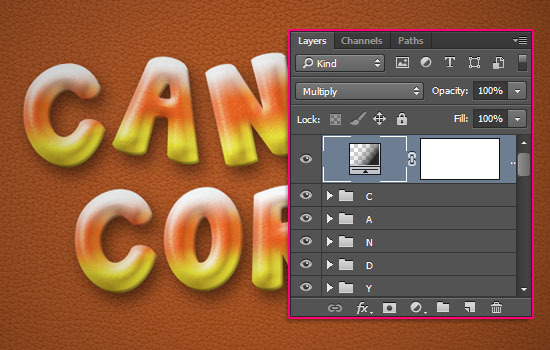 Pick the Convert Point Tool, and start clicking and slightly dragging the sharp corners to make them more rounded. 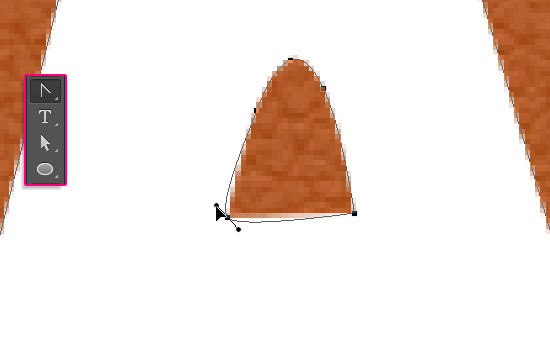 You can also use the Direct Selection Tool (A) to click and drag the anchor points and move them around if needed. 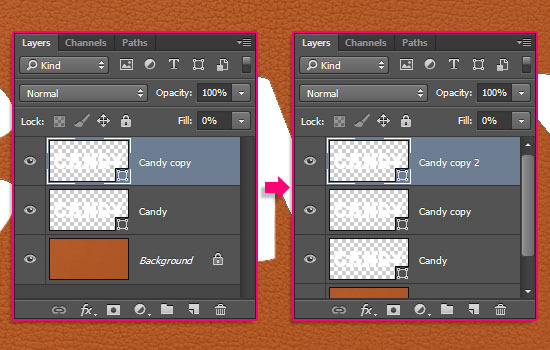 Duplicate the shape layer, change the copy’s Fill value to 0, then duplicate it as well. This will style the main text layer. 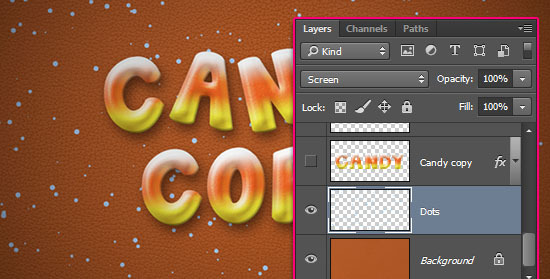 This will add a glossy textured layer to the main text. 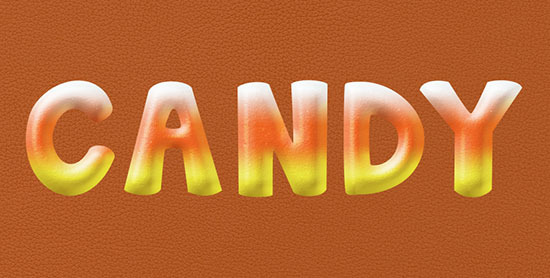 This will give a subtle 3D appearance to the text. 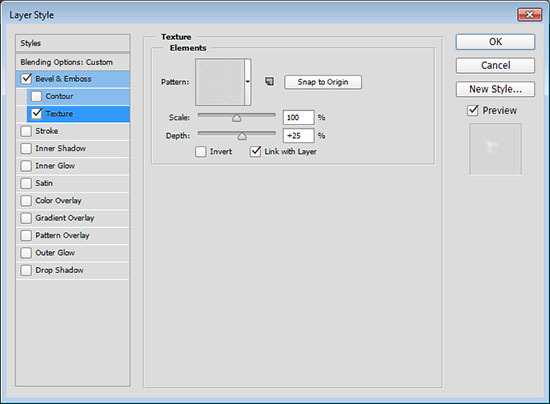 Select all the shape layers, right click any of them and choose Rasterize Layer. 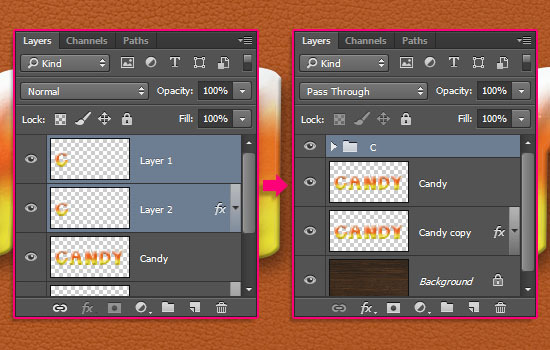 Then, go to Layer > Merge Layers, and rename the merged layer to Candy. 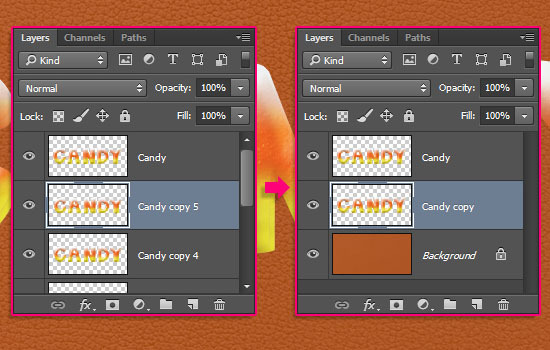 Duplicate the merged layer and drag the copy below the original. Then go to Edit > Free Transform (Cmd/Ctrl + T), and press the Right Arrow key once, then press the Down Arrow key also once to move the copy 1px to the right and 1px downwards. Hit Return/Enter to accept the changes. 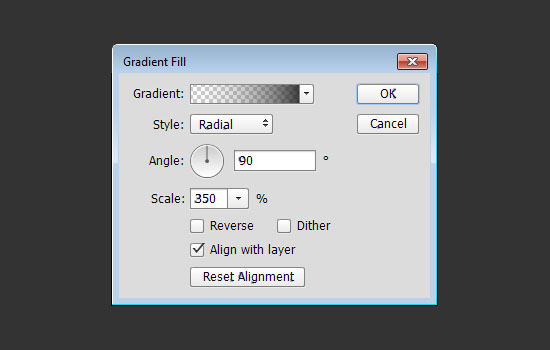 Press the Alt + Ctrl + Shift + T or Option + Cmd + Shift + T keys 4 times to duplicate the layer and the transformation. 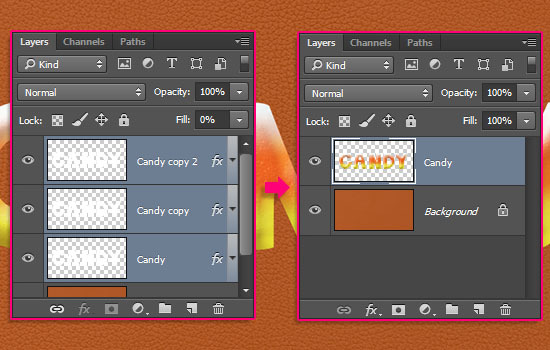 Then select all the copy layers and go to Layer > Merge Layers, and rename the merged layer to Candy copy. 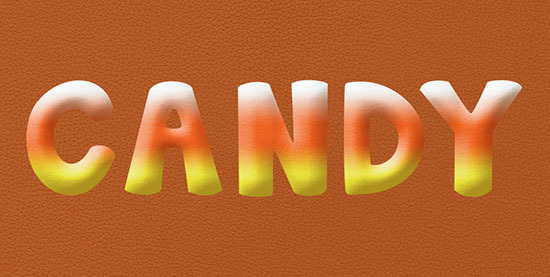 This will add some more 3D feel to the text. 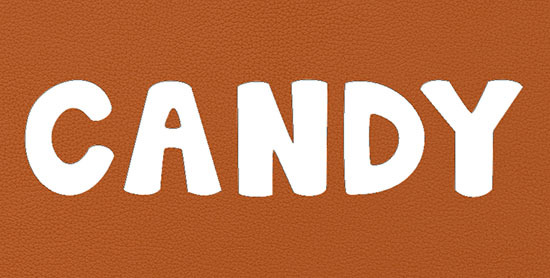 This will finish off the styling of the text. 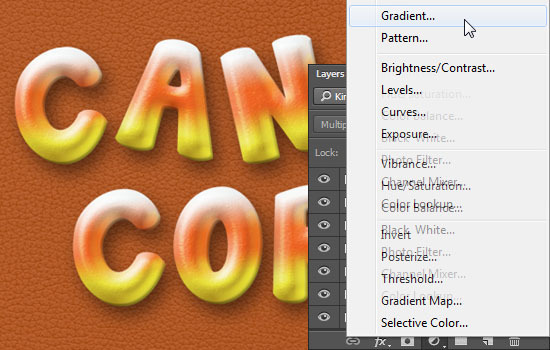 Pick the Lasso Tool, then select the first letter you have. 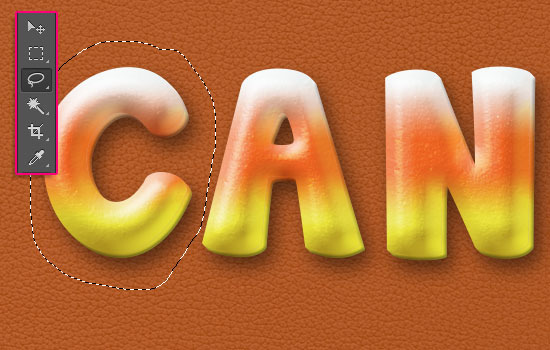 Repeat the previous steps for all the letters you have, and when done, make the original two layers invisible by clicking the eye icon next to each one of them. 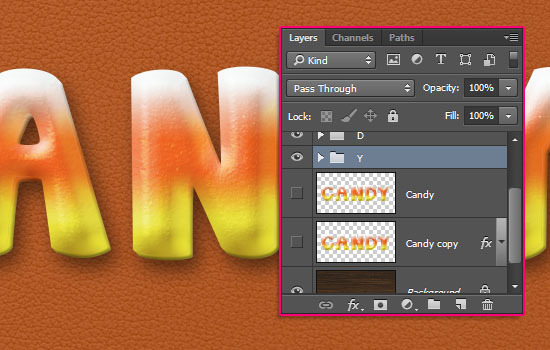 You can add more text if you like, then resize, move, and rotate the letters as you like. To do so, select each letter’s group, then go to Edit > Free Transform, and make any changes you like, then hit the Return/Enter key to accept those changes. You can also select more than one group at once if needed. 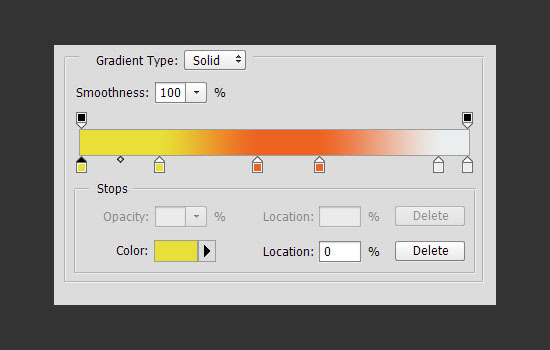 Use a Transparent to Fill gradient, using the colors #949494 to the left and #262626 to the right. 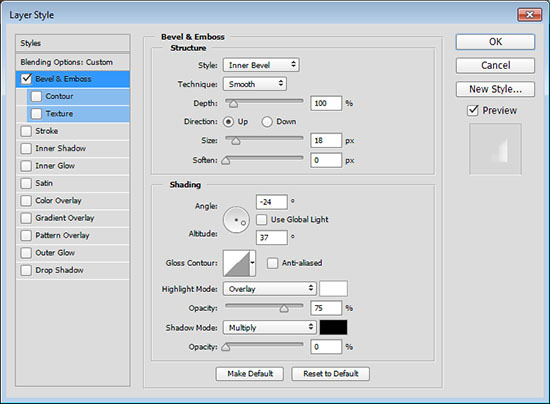 Change the Style to Radial, and the Scale to 350. 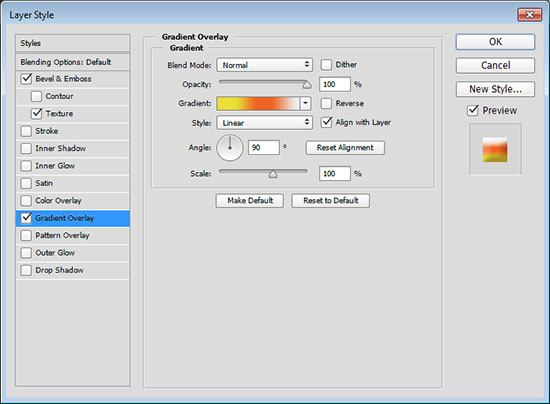 Place the adjustment layer on top of all layers, and change its Blend Mode to Multiply. 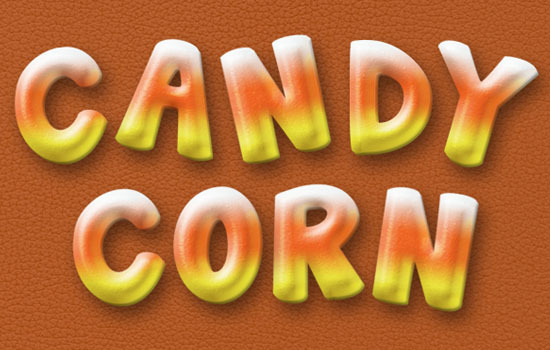 Place the Stock – Confetti Blue png image on top of the Background layer, rename its layer to Dots and change its Blend Mode to Screen. 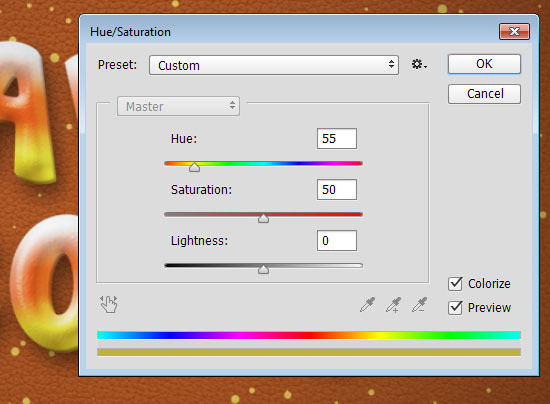 Go to Image > Adjustments > Hue/Saturation, check the Colorize box, and change the Hue value to 55 and the Saturation to 50. 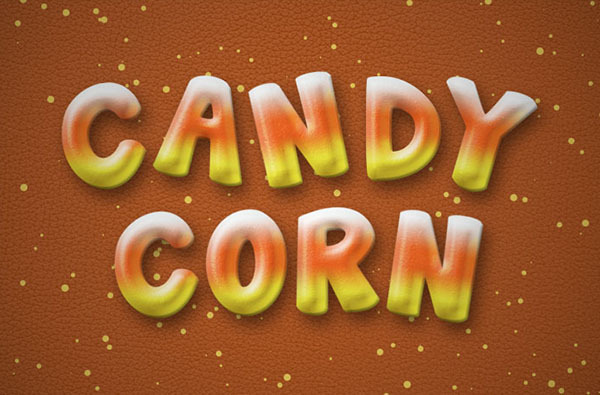 A sugar coated jelly text effect sounds like a great idea, will make sure to try and create a tutorial for that some time soon.